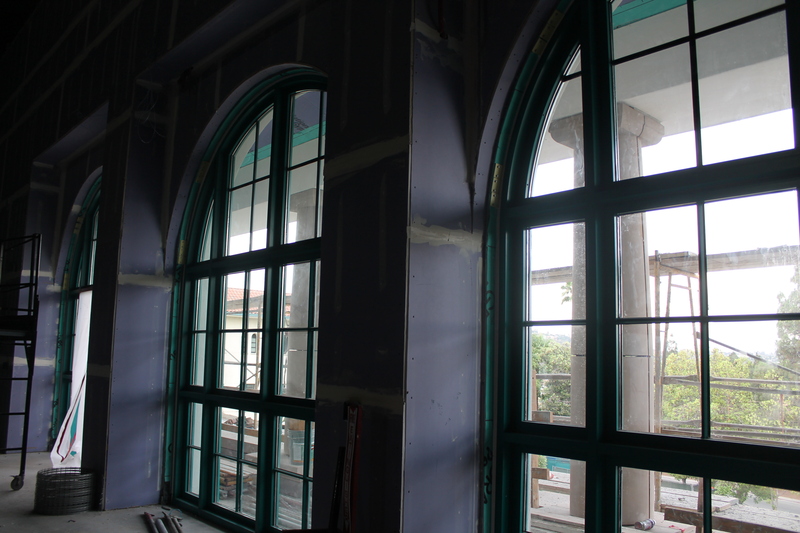 The arched windows in Montezuma Hall look out onto College Avenue. 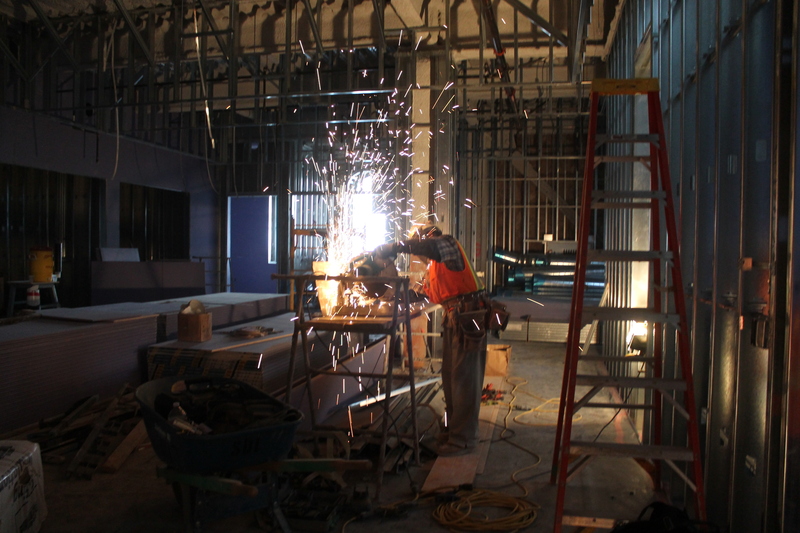 A crew member cuts framing in the cafe area of Aztec Student Union. 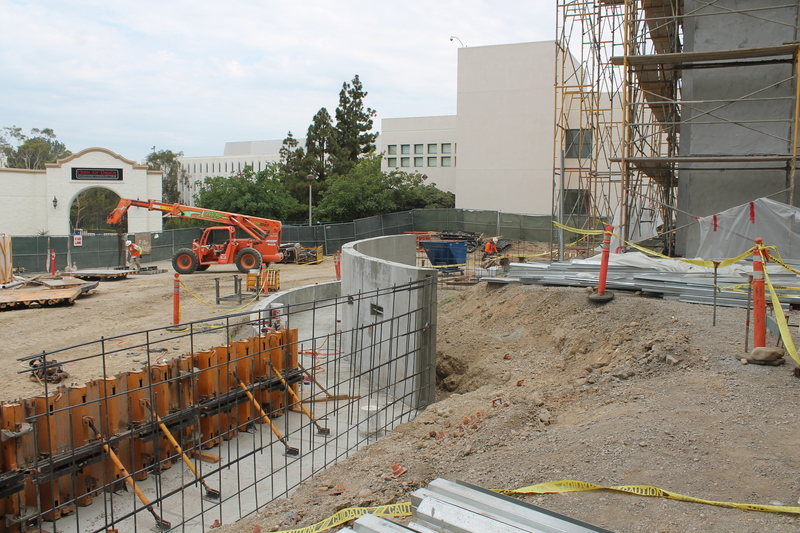 Some of the concrete has been poured for the handicap-accessible walkway on the northwest corner of Aztec Student Union. 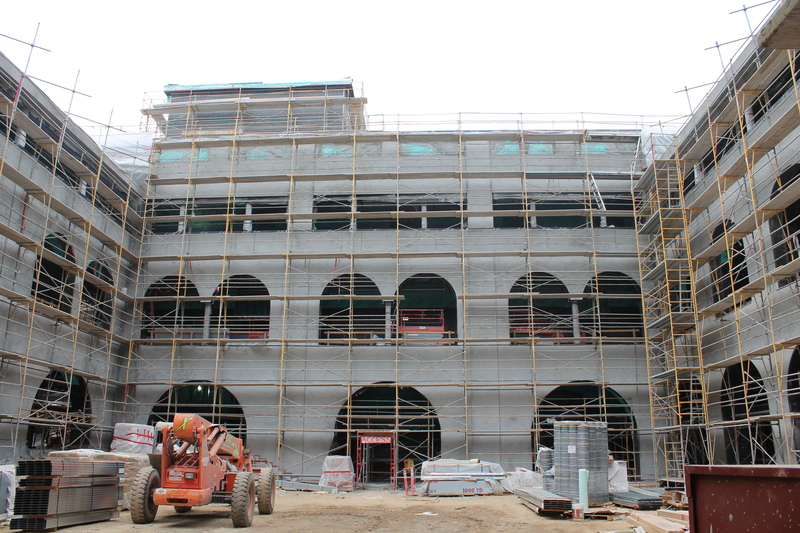 There’s a very “coliseum-like” feeling when standing in the Goldberg Courtyard, surrounded by Aztec Student Union. The view from the third floor near the future Associated Students office shows Lipinsky Tower in the distance. 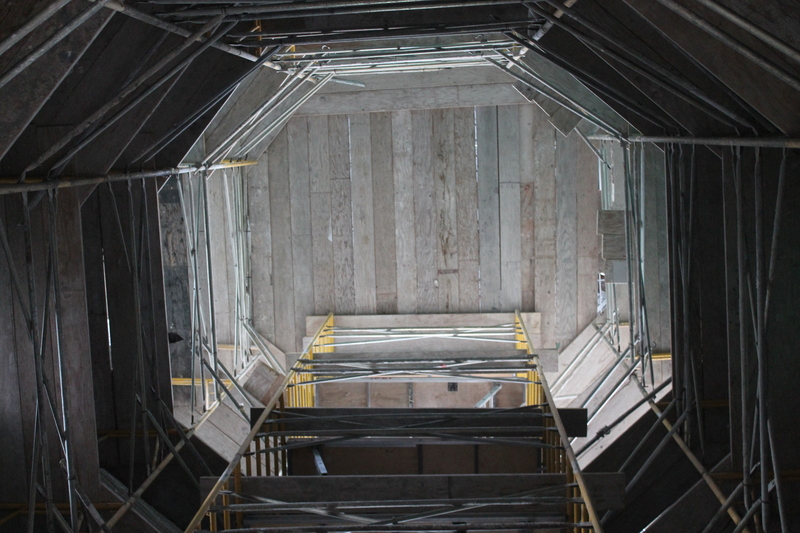 The underside of the tower in Aztec Student Union shows what engineers call a “dance floor,” a surface so sturdy, a crew member could dance on it. 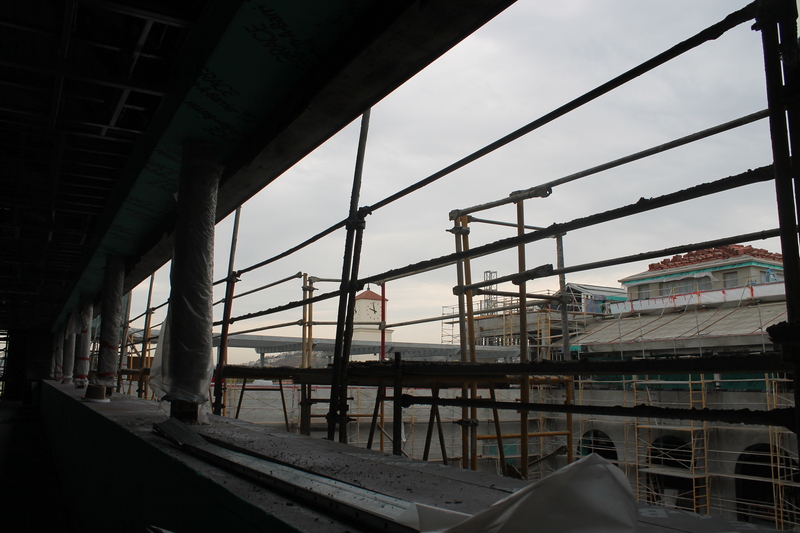 This entry was posted in Construction, Spaces and tagged wordless wednesday. Bookmark the permalink. I see the Aztec Union is Inching ever so closely to completion! Lovely pics!